Acts of the Apostles: the title now given to the fifth and last of the historical books of the New Testament. The author styles it a "treatise" (Acts 1:1). It was early called "The Acts," "The Gospel of the Holy Ghost," and "The Gospel of the Resurrection." It contains properly no account of any of the apostles except Peter and Paul. John is noticed only three times; and all that is recorded of James, the son of Zebedee, is his execution by Herod. It is properly therefore not the history of the "Acts of the Apostles," a title which was given to the book at a later date, but of "Acts of Apostles," or more correctly, of "Some Acts of Certain Apostles." As regards its authorship, it was certainly the work of Luke, the "beloved physician" (comp. Luke 1:1-4; Acts 1:1). This is the uniform tradition of antiquity, although the writer nowhere makes mention of himself by name. The style and idiom of the Gospel of Luke and of the Acts, and the usage of words and phrases common to both, strengthen this opinion. The writer first appears in the narrative in Acts 16:11, and then disappears till Paul's return to Philippi two years afterwards, when he and Paul left that place together (Acts 20:6), and the two seem henceforth to have been constant companions to the end. He was certainly with Paul at Rome (Acts 20:28; Colossians 4:14). Thus he wrote a great portion of that history from personal observation. For what lay beyond his own experience he had the instruction of Paul. If, as is very probable, 2 Tim. was written during Paul's second imprisonment at Rome, Luke was with him then as his faithful companion to the last (2 Timothy 4:11). Of his subsequent history we have no certain information. The design of Luke's Gospel was to give an exhibition of the character and work of Christ as seen in his history till he was taken up from his disciples into heaven; and of the Acts, as its sequel, to give an illustration of the power and working of the gospel when preached among all nations, "beginning at Jerusalem." The opening sentences of the Acts are just an expansion and an explanation of the closing words of the Gospel. In this book we have just a continuation of the history of the church after Christ's ascension. Luke here carries on the history in the same spirit in which he had commenced it. It is only a book of beginnings, a history of the founding of churches, the initial steps in the formation of the Christian society in the different places visited by the apostles. It records a cycle of "representative events." All through the narrative we see the ever-present, all-controlling power of the ever-living Saviour. He worketh all and in all in spreading abroad his truth among men by his Spirit and through the instrumentality of his apostles. The time of the writing of this history may be gathered from the fact that the narrative extends down to the close of the second year of Paul's first imprisonment at Rome. It could not therefore have been written earlier than A.D. 61 or 62, nor later than about the end of A.D. 63. Paul was probably put to death during his second imprisonment, about A.D. 64, or, as some think, 66. The place where the book was written was probably Rome, to which Luke accompanied Paul. 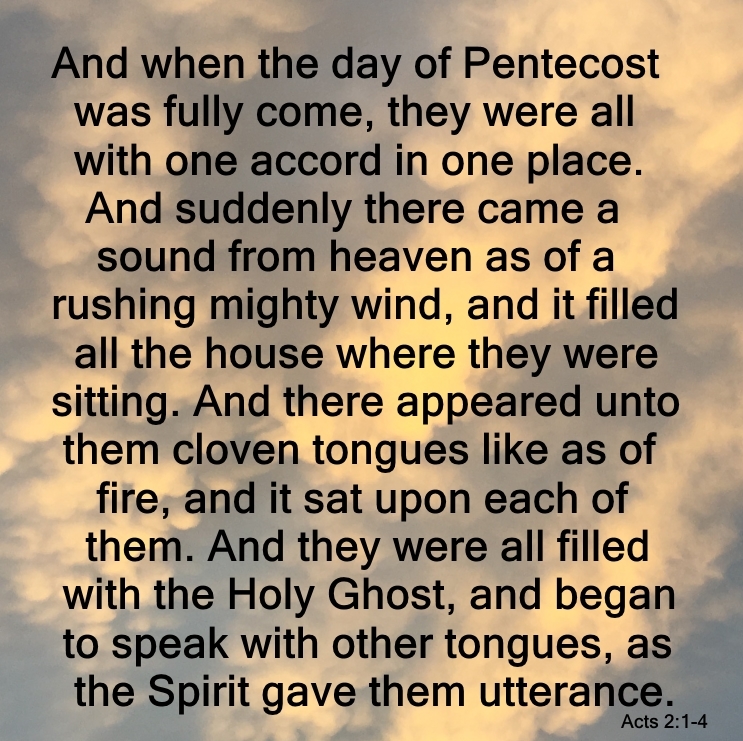 Acts 1:1-12:25, describing the first twelve years of the Christian church. This section has been entitled "From Jerusalem to Antioch." It contains the history of the planting and extension of the church among the Jews by the ministry of Peter. Acts 13:1-21:40, Paul's missionary journeys, giving the history of the extension and planting of the church among the Gentiles. Acts 21:1-28:31, Paul at Rome, and the events which led to this. 13-28 have been entitled "From Antioch to Rome." In this book it is worthy of note that no mention is made of the writing by Paul of any of his epistles. This may be accounted for by the fact that the writer confined himself to a history of the planting of the church, and not to that of its training or edification. The relation, however, between this history and the epistles of Paul is of such a kind, i.e., brings to light so many undesigned coincidences, as to prove the genuineness and authenticity of both, as is so ably shown by Paley in his Horae Paulinae. "No ancient work affords so many tests of veracity; for no other has such numerous points of contact in all directions with contemporary history, politics, and topography, whether Jewish, or Greek, or Roman." Lightfoot.